A brief shower overnight and early morning, then a beautiful Spring Day! Hit around 70 degrees again. Nice to have all the windows open, letting in all that fresh air. Some rain moving in the rest of the week, but that beats in the Teens and Snow! Put together the new grill. It’s not as big as the old one but big enough for the family. My Dad comes home finally after about 2 1/2 weeks of being in the hospital and rehab unit. For dinner it was grilling time! Grilled a Grilled Buffalo Cheese Burger with some Baked Fries. As usual I used a Wild Idea Buffalo 1/4 Pound Buffalo Burger. I’ve got a couple of packs in the freezer so I let one thaw overnight in the fridge. Sprayed the grill grate with pam Grill Spray and heated it up for the first grill on the new grill. I seasoned the Buffalo Burger with McCormick Grinder Sea salt and Black Peppercorn. It only takes about 3 1/2 minutes per side for Medium Rare as Buffalo Meat gets done in an only a short amount of time, because it’s so lean. Some people like their Cheese melted, I prefer adding my Cheese after the Burger is done. I used Sargento Ultra Thin Sliced Sharp Cheddar. Served it on an Aunt Millie’s Reduced Calorie Hamburger Bun. I also baked up some Ore Ida Simply Cracked Black Pepper and Sea Salt Country Style Fries. For dessert later a Healthy Choice Dark Fudge Swirl Frozen Yogurt. Prepare for a whole new level of burger. Conveniently pre-made into one-quarter pound patties that are ever so grillable. Dinner ready. Each pack is 1 pound with 4 – 1/4 Lb patties. Still a windy and cold day around here but the sun was out all day, which helped clear our roads and driveways of snow. Plus, the forecast is looking good! Up coming days with highs in the 40’s and 50’s, which beats what we’ve been having. Sad day I went to the funeral home this afternoon for visitation of a childhood friends father. It’s sad that none of see each other anymore as the year’s have passed, not unless it’s a funeral. I moved away from the neighborhood as I was going in to my freshman year in high school, now we’re all in our 50’s. A few of the old neighborhood still lives in the area like myself and some in Tennessee and Texas. It was nice seeing everyone, just not under these conditions though. Well for dinner it was a Sharp Cheddar Cheese and Mushroom 1/4 lb. Buffalo Burger w/ Baked Fries. 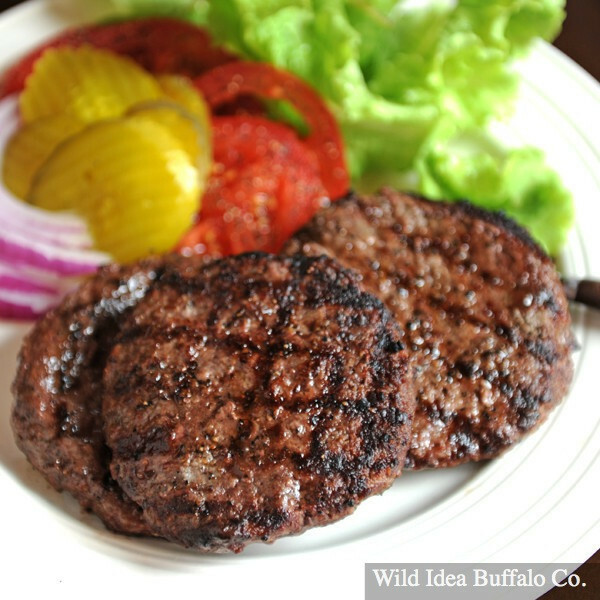 As usual I used my favorite Buffalo Burger, Wild Idea Buffalo 1/4 Buffalo Burger. I seasoned it with McCormick Grinder Sea Salt and Black Peppercorn. I then pan fried it in Canola Oil about 3 1/2 minutes per side. Buffalo gets done rather quickly due to it’s so lean. 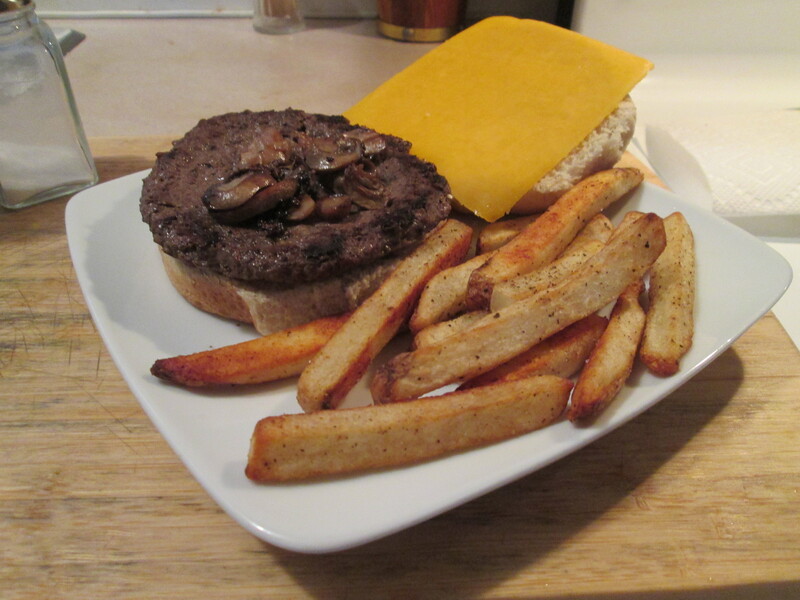 I topped it with a slice of Sargento Ultra Thin Sharp Cheddar Cheese and Sauteed Mushrooms, served it on an Aunt Millie’s Reduced Calorie Whole Grain Bun. Then for a side dish I baked up some Ore Ida Simply Cracked Black Pepper and Sea Salt Country Style Fries, served these with a side of Hunt’s Ketchup for dipping. For dessert later a Healthy Choice Dark Fudge Swirl Frozen Yogurt. Well today is my Mom’s Birthday, 86 today! Happy Birthday Mom, I love you! As I said my Mom is 86 today and my Dad will be 93 in September. Dad has a lot of health problems but Mom gets around and just as strong as ever! Mom enjoys eating Breakfast out so I purchased a couple of Gift Cards, along with some Flowers, to go have Breakfast on and then when the weather is better I’m going to take her and Dad out for dinner. 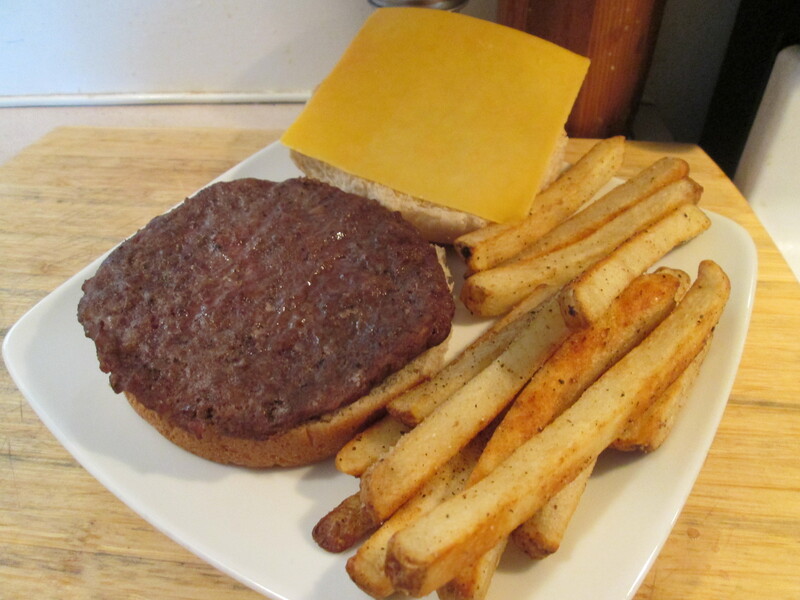 For dinner tonight its a Colby Longhorn Cheese and Mushroom Buffalo Burger w/ Baked Fries. 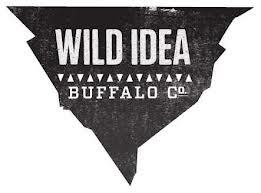 I prepared a Wild Idea Buffalo 1/3 lb. Burger, my favorite! I seasoned it with McCormick Grinder Sea Salt and Black Peppercorn. I then pan fried it in Canola Oil about 3 1/2 minutes per side. Buffalo gets done rather quickly due to it’s so lean. 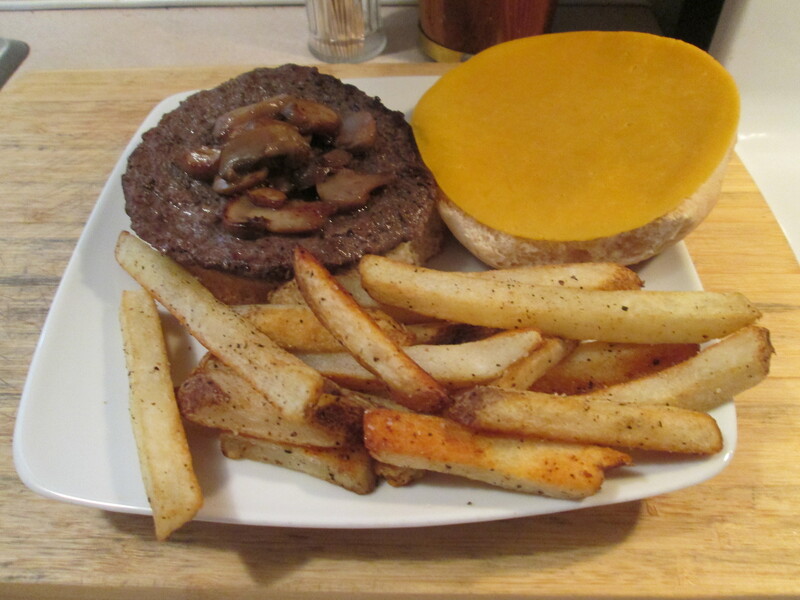 As the Burger was finishing I added Sliced Baby Bella Mushrooms to the skillet and Sauteed them for about 4 minutes. I served it on a Aunt Millie’s Reduced Calorie Whole Grain Bun and topped with the Sauteed Mushrooms and a slice of Sargento Ultra Thin Colby Longhorn Cheese. I found the Sargento Colby at Meijer last week, first time I’ve seen the Colby Longhorn in Ultra Thin (only 40 calories per slice). I had a side of baked Ore Ida Simply Cracked Black Pepper and Sea Salt Country Style Fries. Simply the best fries Ore Ida has! For dessert later a bowl of Del Monte No Sugar Added Pech Chunks.